Soil Conditions Rich, moist, acidic, well-drained. Tolerates sandy soils. 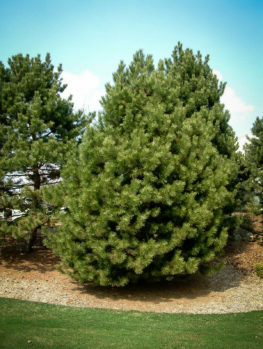 Japanese Black Pine is a wonderful rugged pine, with an irregular form, and wide, almost horizontal branches. It grows between 20 and 60 feet tall, depending on conditions, and it is an essential feature of Japanese gardens. It is also popular for bonsai, but this is such a beautiful tree that it looks great in any garden. If you admire irregular forms in trees, you will love this beauty. The bark is dark-gray, and deeply furrowed and grooved, adding to the overall gnarled and rugged look of the tree. It is highly tolerant of salt, so it is ideal to plant at the beach or in sandy areas. Once established it will tolerate drought, and also grow well in hot, windy places. It is hardy to zone 6, and it grows well in all the hotter zones. 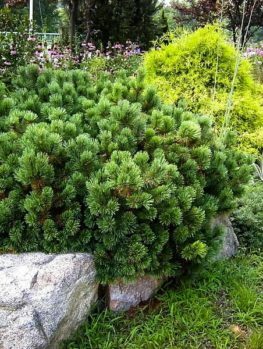 Plant your Japanese Black Pine in a sunny spot – it is not shade tolerant at all. It grows best in acidic, well-drained soils that retain some moisture, but established trees are very drought tolerant. Do not plant this tree in wet soils. Take care when planting not to plant deeply, and never cover the base of the tree with mulch. This will protect it from diseases and pests, by keeping it vigorous and healthy. As well as being an essential tree for Asian-themed gardens, this is also a handsome specimen for a lawn, and it fits well into all kinds of garden styles, especially more informal ones. 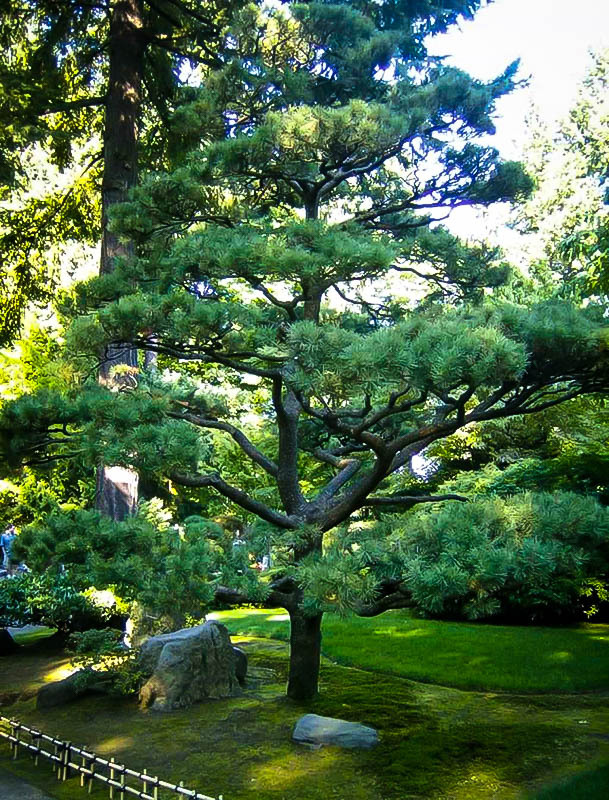 If you have even been to Japan, or seen pictures of Japanese gardens, then you have seen Japanese Black Pine. 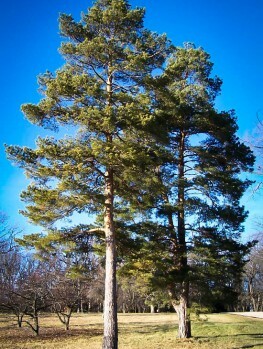 This iconic pine tree is widely grown in its native land, and it is a feature of almost all gardens there. 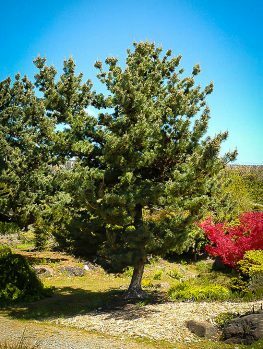 In North America you may have seen this pine along the seashore in the northeast, where it is the number one choice for seaside planting, because it is very tolerant of salt spray, growing well even right on the beach. Even if you are not interested in Asian gardening, and don’t live at the beach, the Japanese Black Pine is a very attractive tree in any garden. 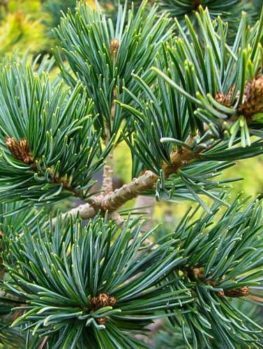 With its picturesque growth habit, it is much more attractive than many other pine trees, and makes a wonderful lawn specimen or background tree, just left to grow naturally. With its rapid growth-rate, it will soon be a notable specimen, and one you will love for its rugged beauty. 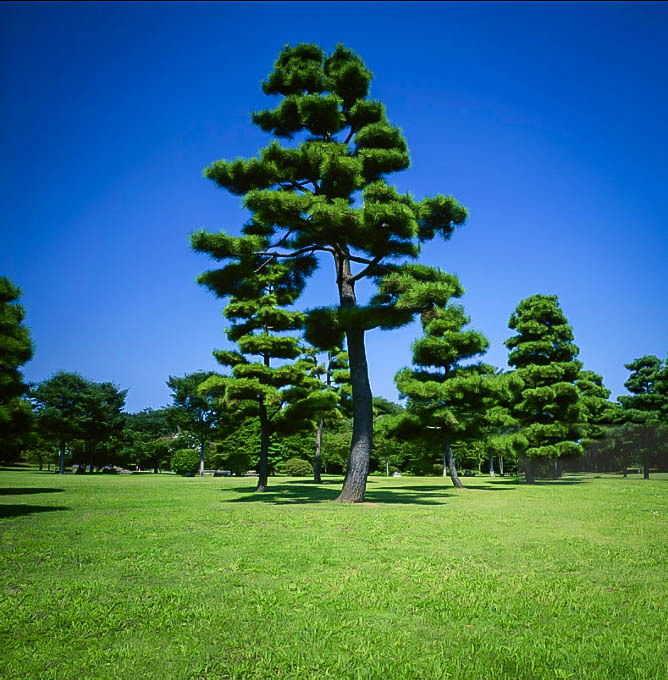 Japanese Black Pine is a wide-spreading pine tree of medium size, with branches that grow almost horizontally. 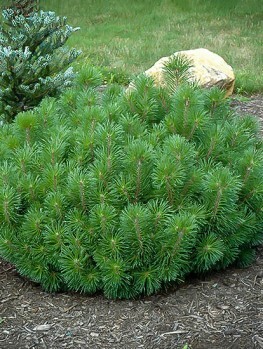 The bright-green needles are up to 5 inches long, and they radiate out from the branches in all directions. If you look closely you can see that the needles are attached to the stems in bundles of two. These needles live for 3 to 5 years, before turning light brown and falling from the tree in late spring. The bark of the young branches is orange to yellow, and older bark is blackish-gray. In time the bark becomes deeply grooved and furrowed, giving the tree a very rugged look. The outline of this tree is irregular, and it has a rugged, informal look which is very attractive. When trees are over 5 years old they begin to produce dark-brown cones, which are 2 to 3 inches long and 1 inch across. Sometimes these are carried in clusters of 50 or more, and then they will be smaller. 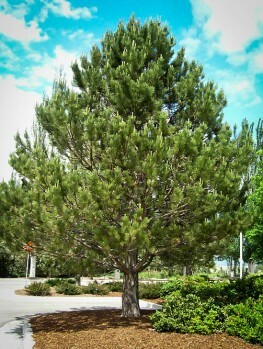 Japanese Black Pine should be grown in full sun, as it is not shade tolerant. It will grow in any well-drained soil, and grows best in lighter, acidic soils that are also rich and fairly moist. It will also grow well in sandy soils, and it is very drought resistant once established. It will grow well in adverse conditions that defeat most other trees. The outstanding feature of this tree is its tolerance to salt and seaside conditions. This is the perfect tree for a beach property, where in time it will develop a wind-swept, romantic look. It can be planted right down to the water’s edge, and trees are seen growing naturally like this in Japan. In an exposed area like the coast the trees usually grow more horizontally, and rarely grow above 20 feet tall. In more sheltered places they may eventually reach 60 feet, and in the wild trees as much as 100 feet tall can be found. It is hardy to minus 10 degrees, meaning it will grow all through zone 6. It is also heat resistant, so it grows well in hotter zones as well. Wind is easily tolerated, and in fact creates more attractive trees, as it caused irregular, more horizontal growth. In good conditions this tree is fast-growing, adding as much as 4 feet in a single year. Another popular use for this tree is as bonsai. This is a classic tree for true Japanese bonsai, unlike many of the trees sold in the West today, which are not authentic species. Bonsai trees of Japanese Black Pine must be grown outdoors, and only brought indoors for short periods for display. The techniques of bonsai and niwaki are very similar, except for the root-pruning which is done to bonsai trees. If you understand bonsai techniques, then developing a niwaki tree is just a matter of adapting to a larger scale. If you have an Asian-themed garden, this tree is your opportunity to create something truly authentic and beautiful – a project that will occupy you for years and result in something magnificent and of great value. 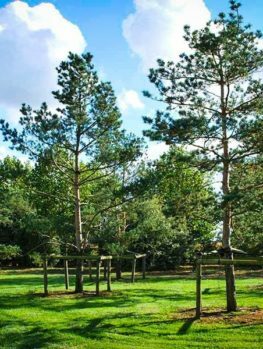 When growing Japanese Black Pine, correct planting and location are important. Only grow in full sun. The soil must be well-drained, and trees must not be planted too deeply. It is better to plant on a low mound of soil, even in well-drained soil, and never plant deeper than it is in the pot you receive it in. You should be able to see the point where the roots begin to spread outwards, after you have planted it. Do not put mulch up against the trunk, but keep that area clear of any material, including fallen needles. Doing this will greatly reduce the risk of diseases developing, which in turn can lead to pest attack. Japanese Black Pine (Pinus thunbergii) is called kuro-matsu in Japan, where it is a native tree, growing in coastal area of Kyūshū, Shikoku and Honshū provinces. It also grows in South Korea. In Japan it is widely grown in gardens, often trained as niwaki. This means a tree in a garden that has been trained and sculpted like a giant bonsai tree. Branches are anchored down to encourage them to grow horizontally. The branches are wired to twist them, and the new shoots, called ‘candles’ on pine trees, are trimmed to make the growth denser and flatter. 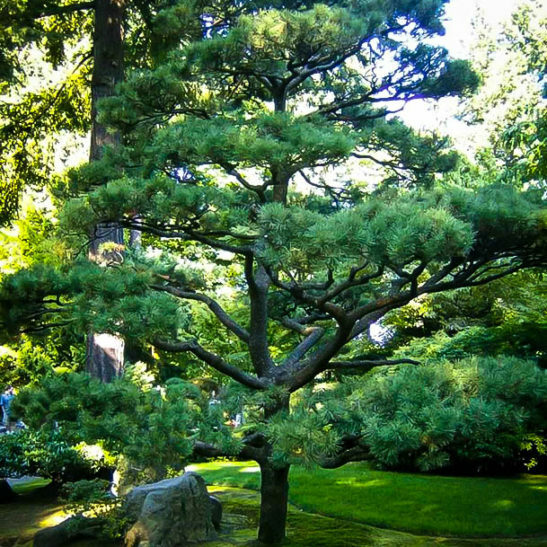 These amazing trees are often important features of the garden, and they give Japanese gardens their unique look. 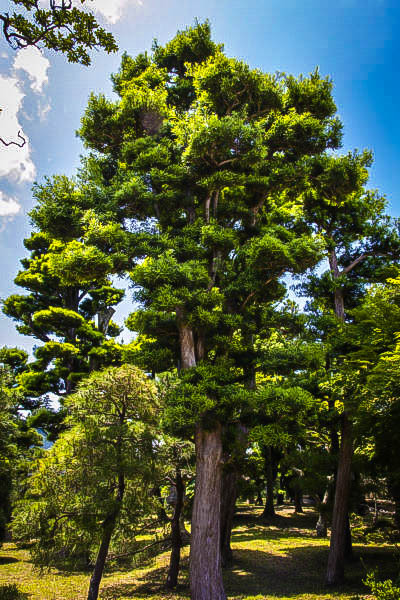 This tree is named after Carl Peter Thunberg, an Swedish doctor who, among other things, collected and first recorded many plants in Japan in the 18th century.